Homefront are a four piece Pop-Punk / Alt Rock band from Brisbane, Australia. Consisting of Peter Harvey on Vocals, Navada Snow-Walters on Guitar, Damian Field on Bass & Connor Robins on Drums. 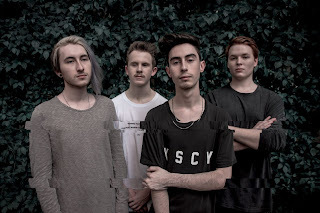 The band were formed in 2017 and have already released two songs 'Faultlines' and 'Breathing Space', both of which were very well received and gained them a great number of fans. With the release of this debut EP and their first national tour around Australia, these guys are heading for big things. This four track EP kicks off with a song called 'Low Light'. This is a very bouncy and energetic song with a definite pop-punk sound. It will get you moving. Track two is called 'Blindside' and has a much heavier sound with deep bass riffs, heavy hitting drums and more shouty style vocals. I really like this song! Song number three is entitled 'Goodnight Goodbye' which starts very soft and melodic with gentle guitar chords and soft vocals. The tempo, however, does raise along with the energy of the song to give you goosebumps. The song really evolves into a great alt-rock anthem. The final song is called 'Satellite' and kicks off fast and loud with good use of tempo changes to become a very energetic song, a perfect way to finish the EP.... on a high! 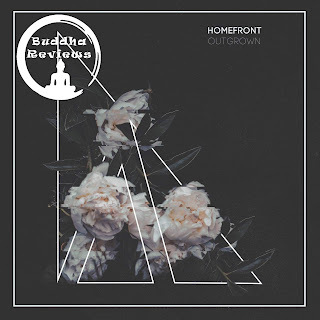 In conclusion, having only just been introduced to Homefront, I am really impressed with the musicianship displayed by all members of the band. They take a few good heavy riffs from alt-rock and combine them with the uplifting energy of pop-punk and the resulting music is awesome! This is one band to really keep an eye on in 2019 and let's hope they do a world tour (or even just the UK).